File photo dated 14-06-2013 of Colin Graves. PRESS ASSOCIATION Photo. Issue date: Friday January 30, 2015. Colin Graves has been nominated to serve as England and Wales Cricket Board chairman from May 15 by the 18 First Class Counties and the Marylebone Cricket Club, the governing body has announced. No other nominations have been received. 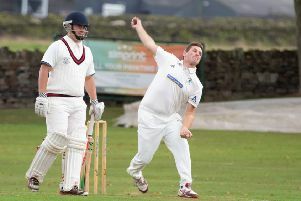 See PA story CRICKET ECB. Photo credit should read Anna Gowthorpe/PA Wire. Chairman Colin Graves believes Yorkshire CCC are capable of emulating their all-conquering side of the 1960s, as the club prepare to announce their healthiest set of financial results for some years. The Headingley club will today report an increase in total income of £7.3m (2013 - £6.8m), which represents a 7.9 per cent growth on the previous year. Losses after tax reduced to £300k compared to £600k in 2013.
International match revenue in 2014 was £2.2m - 30 per cent of total income, which was £58k down on 2013 (2013 - £2.24m). Commercial income has shown a 10 per cent increase on 2013, while income generated was £1.80m (2013 - £1.63m). Yorkshire also received £400k more prize money from the ECB last season, in prize money for winning the County Championship and developing England stars Joe Root, Liam Plunkett and Gary Ballance. And Graves, in his annual report statement, said: “I seriously believe we can recreate the success of the great side from the 1960s, so we need to breed a habit of winning trophies year in and year out like the great sports teams around the world. “It’s not just the senior players performing. The Academy showed their rich potential by winning the Yorkshire League cup and league double. They dominated the competition against players with more experience. The Annual General Meeting of Members will be held in the East Stand Long Room at Headingley on Saturday March 28, at 10.00am. “It is hard to put into words quite what Yorkshire winning the Championship means to me,” Graves added. “It is a fantastic achievement and, to see what we have done this year is beyond my wildest dreams. When you look back over the past 13 years there have been a lot of low points but winning the Championship made it all worthwhile. A lot of people have asked me why I got involved in the first place. “Purely and simply I love Yorkshire cricket. “I have been a cricket fan all my life, and I enjoy every minute of being involved in this wonderful game. Our Championship success is for you the members as Yorkshire is a members’ Club and it always will be. “To win the Championship was one of the proudest days I have had in my life and to support the team is what it’s all about. Graves has been appointed as the chairman of the ECB, and will step down from his role of Yorkshire chairman in May.